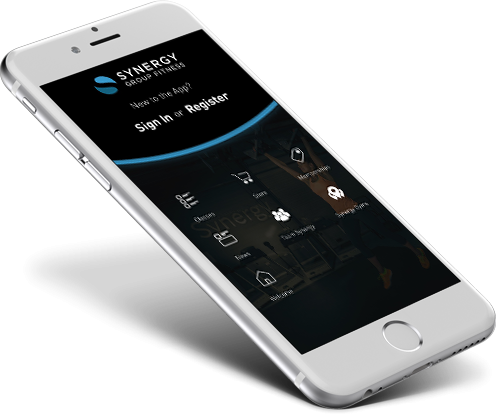 If you’d like to experience what personal trainer led, gym based group fitness feels like, where you’re welcomed like family, where no-two sessions are ever the same, where you’re given tailored exercises specific to your needs and nutritional support to match, where you can lift weights and flip tyres, have good banter and get great results……then welcome to Synergy. Synergy Gyms are based in Edinburgh and Livingston. To truly understand what makes Synergy such a special place to workout, book your FREE taster class now. Group fitness in our Livingston and Edinburgh Gyms with a personal touch and lots of support. Our Group sessions are tailored to the needs of the individuals in the group. Supportive, challenging and fun. Flip, run, slam, jump, climb, throw, push, pull. Train the way your body was designed to move. If you’re hungry to win, we can make you stronger, faster, fitter and give you that vital competitive edge. 1-2-1, partnered and small group personal training for those wanting a little more fitness and diet help, guidance and support. Synergies SG3 nutrition programme gives you goal based dietary plans, right down to the recipe. SYNERGY IN THE PALM OF YOUR HAND.